Made to withstand the demands of both the river and the trail, Astral footwear is durable, versatile, and stylish– a boat shoe with function. Flooded shoes don’t stand a chance with the self-draining ventilated design. The shoe also features their proprietary G Rubber outsoles, making them sticky like tar– no more slipping on wet rocks. Many turn towards sandals for their water adventures. Some even choose to be barefoot. Yet, cutting your foot on sharp rocks, slipping on wet ground and breaking your toenails tend to be result. Then the debate of wearing hiking boots or tennis shoes comes about. Although your hiking boots may have a waterproof lining, that same lining limits the shoe's breathability– sweat, blisters and contained moisture arise. Alike, most tennis shoes, although more breathable and lighter than hiking boots, can foster the same results. 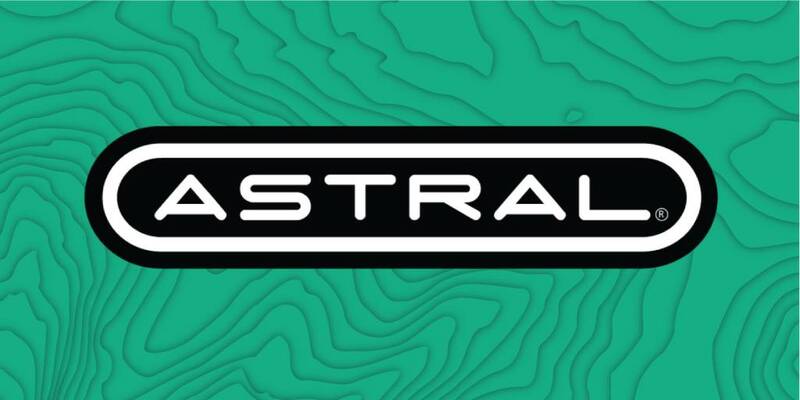 Astral shoes feature lightweight, breathable, hydrophobic, quick drying fabric, self-draining vents and outsoles that conform to the ground. Transition from water to land with a pair of Astral shoes.